Circle Magazine: Japanese Prefer Sandwiches To Sushi!? Every month Japan Centre publishes its in-store magazine called Japan Centre Circle. Packed full of Japanese insights and food tips, as well as a monthly recipe, voucher and upcoming event details, it’s a great way to keep up to date with all things Japanese from your favourite Japanese food hall and it’s free too! This week we’ve syndicated our popular Staff Review column so that those of you not able to visit one of our stores can get the chance to read a bit of what Japan Centre Circle is all about. We’ll try to get downloadable versions of the magazine up on www.japancentre.com for you soon. Nari’s hometown is Tochigi in central Japan, after graduating from university he worked in Tokyo for 3 years before moving to London in July 2008 and joining Japan Centre. He is our Design, Advertising & Product PR manager, so all the design work you see throughout the stores is made by his own fair hands. Craving some fish and rice? If all this talk of sushi’s got you hankering after the good stuff, you can buy a complete sushi kit online at www.japancentre.com for just £18.90! It contains all the basic ingredients you need to create delicious maki rolls, nigiri, handrolls and onigiri at home (fresh fillings / toppings not included). We’ve also got handy sushi recipes on our recipe page waiting to be tried and tested! 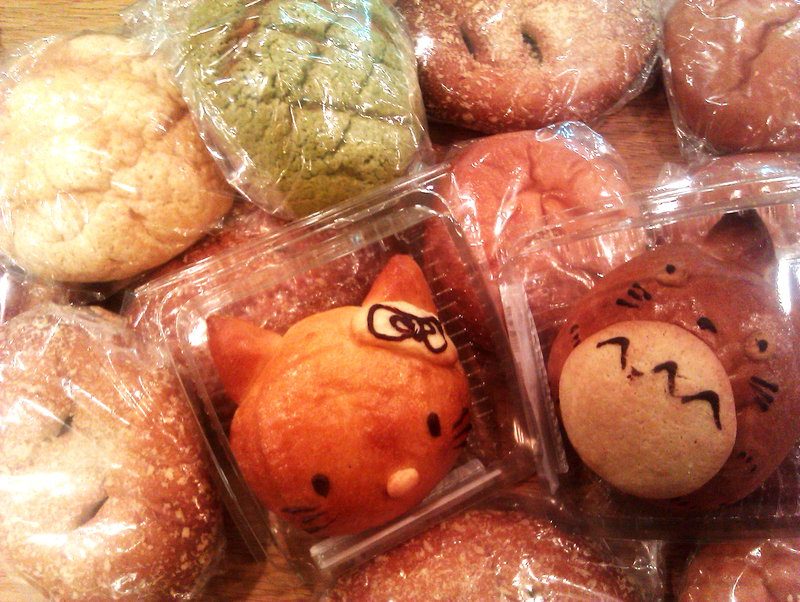 Or, if you want to eat like the Japanese do on their lunchbreak and try a Curry Pan or Melon Bread, we’ve got those too! Head to one of our Japan Centre stores to browse the delicious smelling (and tasting) Japanese bakery items on offer and maybe pick up a cute custard totoro bun for dessert while you’re at it. Japan Centre Circle magazine is published monthly and available in store now. Posted in Food and tagged japanese culture, sushi. Bookmark the permalink. Pop-Up Store at Westfield Stratford!